As a staunch Team Coco member, the latest 'Entertainment Weekly' cover sums up my feelings about the whole 'Tonight Show' fiasco. 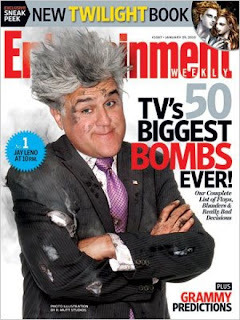 Jay Leno, bombs away the #1 choice as the biggest entertainment gaffe EVER. The stinker! couldn't agree more. viva la coco!